Christopher & Dana Reeves: Several weeks before Dana Reeves lost her courageous fight with lung cancer, she filmed a documentary on PBS titled “The New Medicine”. 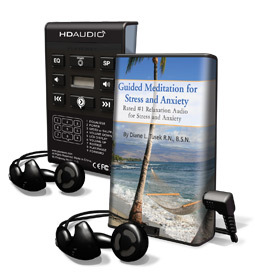 Dana stated that one of the things that got Chris through his illness and her through hers was the use of Diane Tusek’s Guided Imagery CD – Courage, Strength and Hope for Relaxation & Sleep. We initially brought Diane to speak to our nursing practice and physicians in how guided imagery could be included as an option to help Cardiac/Heart surgery patients relax, relieve stress as they prepare for surgery, pain relief, recover after surgery and for Heart procedures, Cath Lab and chronic ventilator patients in the Pulmonary Unit. That was 15 years ago! The Guided Imagery Program is still going strong and has expanded to other departments as well.